Professor, Medical College of Georgia at Augusta University, Vascular Biology Center and Pulmonary Medicine, Augusta, GA, USA. Associate Professor, University of Colorado Denver, Pediatric Critical Care Medicine, Aurora, CO, USA. The field of vascular remodeling is fundamental to cardiovascular research, as vessel growth, differentiation, development and regression are involved in numerous physiologic and pathologic conditions of both systemic and pulmonary circulation. We are very enthusiastic to conduct our research on pulmonary artery microvascular and vasa vasorum endothelial cells that are extremely and uniquely sensitive to pathologic conditions and environmental factors that control these vessel phenotype and function. We realize that there is a need in the updates on the fundamental and generalized knowledge that would integrate research data and the ideas from another type of blood vessels throughout the body. 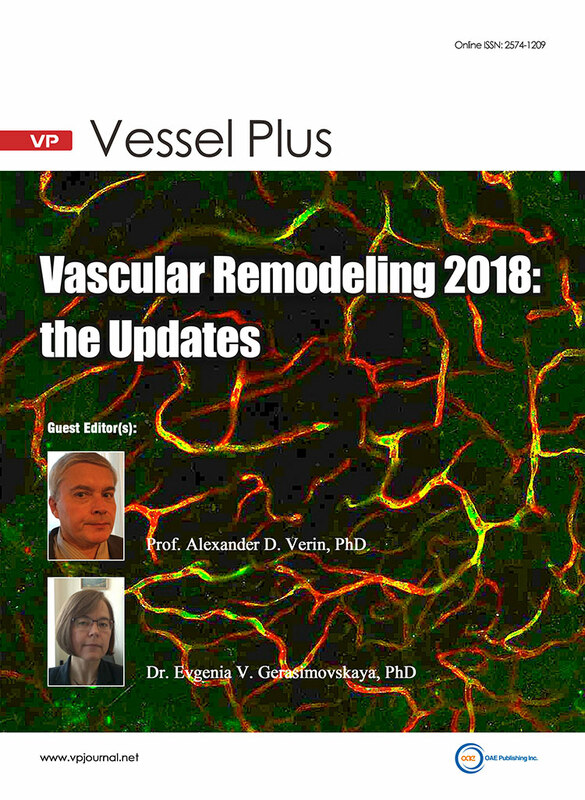 We are inspired by the opportunity to overview and bring together the results from recent findings in the field of vascular remodeling. Vascular smooth muscle cells (VSMCs) are the predominant cell type in the arterial wall and normally adopt a quiescent, contractile phenotype to regulate vascular tone. In the arterial wall, VSMCs are exposed to multiple mechanical cues, including stretch and matrix stiffness, which regulate VSMC contraction. However, during ageing and in vascular disease, such as atherosclerosis, hypertension and vascular calcification, the arterial wall stiffens and VSMC contraction contributes to this process. VSMCs display remarkable plasticity and changes in their mechanical environment promote VSMCs to adopt a proliferative, synthetic phenotype. 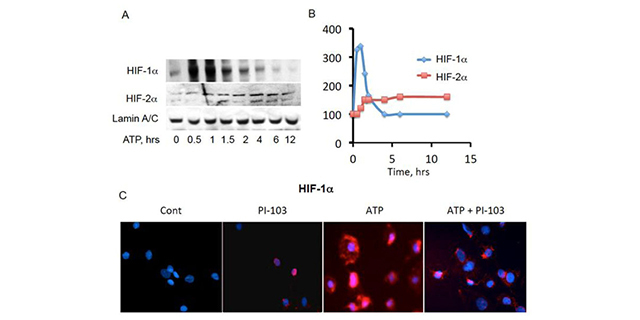 VSMC phenotypic modulation is associated with altered expression of contractile proteins that generate actomyosin-based force. However, our understanding of precise mechanisms whereby altered mechanical landscape and mechanotransduction influence VSMC contraction remains limited. In this review, we discuss the present literature describing how VSMCs sense and respond to changes in their mechanical environment and how these changes influence VSMC contraction. Vascular remodeling defines cancer growth and aggressiveness. Although cancer cells produce pro-angiogenic signals, the fate of angiogenesis critically depends on the cancer microenvironment. 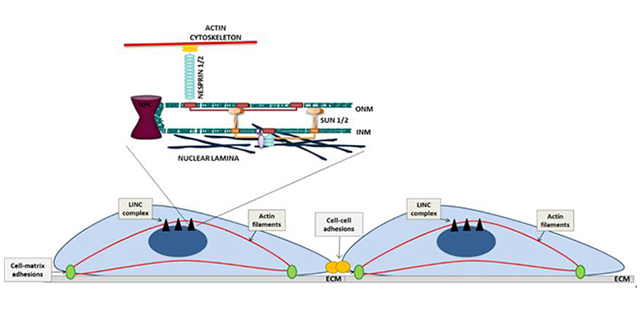 Composition of the extracellular matrix (ECM) and tumor inflammation determine whether a cancer will remain dormant, will be recognized by the immune system and eliminated, or whether the tumor will develop and lead to the spread and metastasis of cancer cells. Thrombospondins (TSPs), a family of ECM proteins that has long been associated with the regulation of angiogenesis and cancer, regulate multiple physiological processes that determine cancer growth and spreading, from angiogenesis to inflammation, metabolic changes, and properties of ECM. Here, we sought to review publications that describe various functions of TSPs that link these proteins to regulation of cancer growth by modulating multiple physiological and pathological events that prevent or support tumor development. 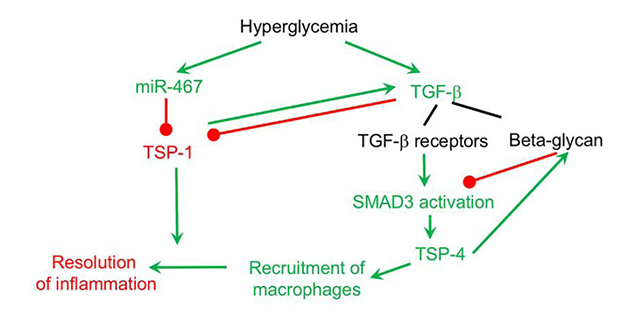 In addition to its direct effects on angiogenesis, TSPs have important roles in regulation of inflammation, immunity, ECM properties and composition, and glucose and insulin metabolism. Furthermore, TSPs have distinct roles as regulators of remodeling in tissues and tumors, such that the pathways activated by a single TSP can interact and influence each other. The complex nature of TSP interactions and functions, including their different cell- and tissue-specific effects, may lead to confusing results and controversial conclusions when taken out of the context of interdisciplinary and holistic approaches. However, studies of TSP functions and roles in different systems of the organism offer an integrative view of tumor remodeling and a potential for finding therapeutic targets that would modulate multiple complementary processes associated with cancer growth. Pathological vascular remodeling is observed in various cardiovascular diseases including pulmonary hypertension (PH), a disease of unknown etiology that has been characterized by pulmonary artery vasoconstriction, right ventricular hypertrophy, vascular inflammation, and abnormal angiogenesis in pulmonary circulation. G protein-coupled receptors (GPCRs) are the largest family in the genome and widely expressed in cardiovascular system. They regulate all aspects of PH pathophysiology and represent therapeutic targets. We overview GPCRs function in vasoconstriction, vasodilation, vascular inflammation-driven remodeling and describe signaling cross talk between GPCR, inflammatory cytokines, and growth factors. Overall, the goal of this review is to emphasize the importance of GPCRs as critical signal transducers and targets for drug development in PH. Aim: The circadian clock is a molecular network that controls the body physiological rhythms. In blood vessels, the circadian clock components modulate vascular remodeling, blood pressure, and signaling. The goal in this study was to determine the pattern of expression of circadian clock proteins in the endothelium, smooth muscle, and adventitia of the vasculature of human and mouse tissues. 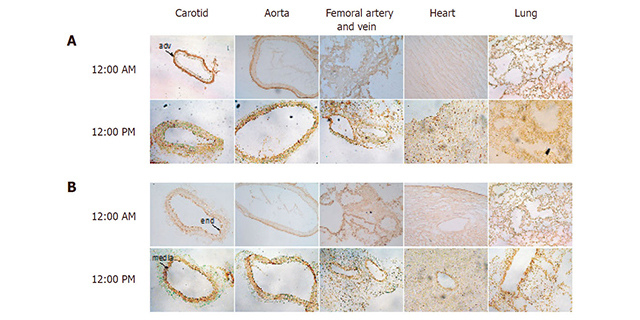 Methods: Immunohistochemistry was performed in frozen sections of mouse aorta, common carotid artery, femoral artery, lung, and heart at 12 AM and 12 PM for Bmal1, Clock, Npas2, Per and other clock components. Studies of expression were also assessed in human saphenous vein both by immunoblotting and immunohistochemistry. Results: In this study, we identified the expression of Bmal1, Clock, Npas, Per1, Cry1, and accessory clock components by immunohistochemical staining in the endothelium, smooth muscle and adventitia of the mouse vasculature with differing temporal and cellular profiles depending on vasculature and tissue analyzed. The human saphenous vein also exhibited expression of clock genes that exhibited an oscillatory pattern in Bmal1 and Cry by immunoblotting. Conclusion: These studies show that circadian clock components display differences in expression and localization throughout the cardiovascular system, which may confer nuances of circadian clock signaling in a cell-specific manner.